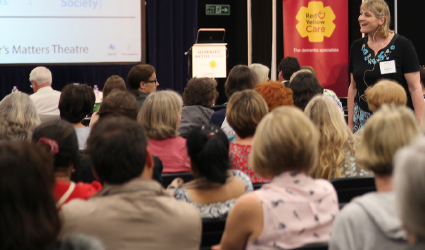 The main theatre will host talks on a wide range of key topics for carers, relatives and professionals as well as chaired ‘Question Time’ sessions. 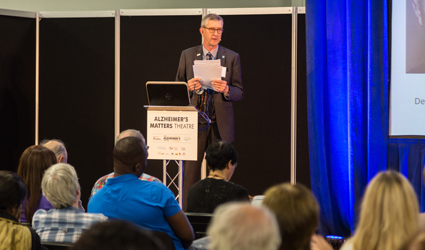 Speakers include: George McNamara, Alzheimer’s Society; Dr Rosa Sancho, ARUK; Andrea Sutcliffe, CQC and Hilda Hayo, Dementia UK. Also Joy Watson will be giving an inspirational talk on living with dementia. 12.40 - 13.30 QUESTION TIME. 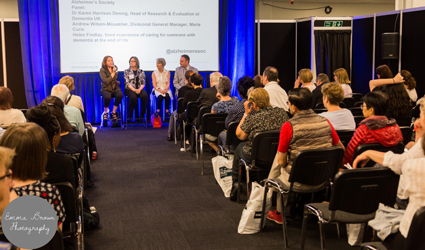 Put your questions to a panel of experts on topics relating to dementia and care. Dr Rosa Sancho, Head of Research, Alzheimer’s Research UK. Andrea Sutcliffe, Chief Inspector of Adult Social Care, Care Quality Commission. 12.00 - 12.25 Dementia - A personal view Joy Watson was diagnosed with Alzheimer's disease in her mid-50s. 12.30 - 13.20 QUESTION TIME. 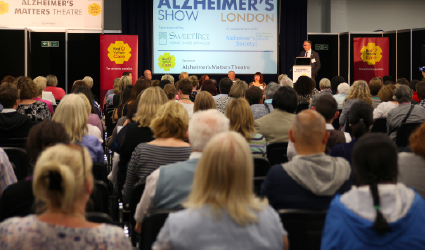 Put your questions to a panel of experts on topics relating to dementia and care. Hilda Hayo, Chief Admiral Nurse/CEO, Dementia UK. Dr David Brough, dementia researcher and senior lecturer at the University of Manchester, funded by Alzheimer’s Research UK.